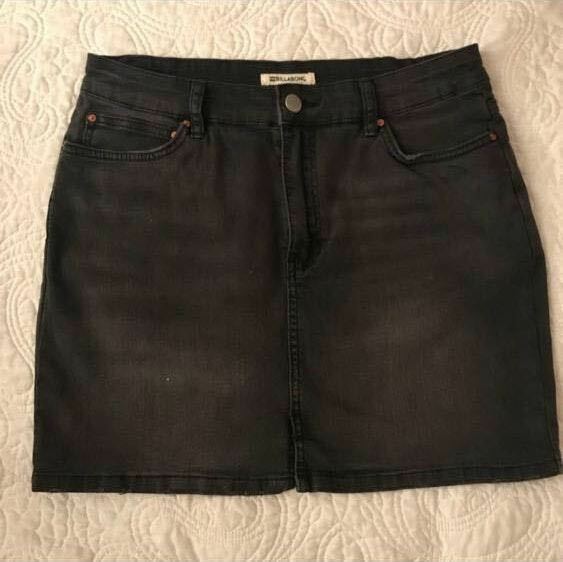 Slightly distressed black jean skirt with small slit in the front. Super flattering! Worn once or twice max! Marked as size 29, but fits anywhere from a 25-28 dude to the stretch. I’m a 27 /M in most jeans/pants and it fits very comfortably.